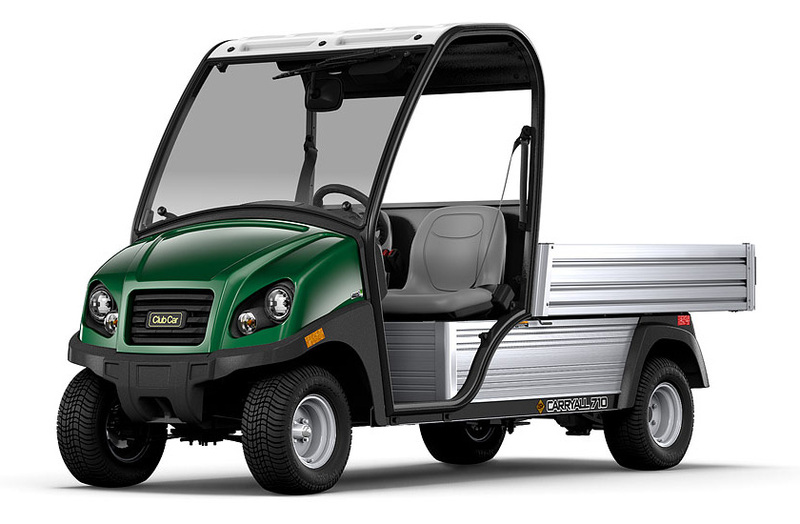 The Club Car Carryall 710 Low Speed Vehicle replaces the Carryall 6 LSV and is the bigger brother of the Carryall 510. A larger wheelbase and bed box size increases the capacity of the vehicle to an impressive 850lb. This road legal vehicle is a perfect choice when looking for an economical, low noise, low impact vehicle to carry gear and materials.